How refreshing to see that there are Igbo groups that were not taken in by the deception of Chief John Nnia Nwodo and his gang of Abuja loyal rent boys. Nnia Nwodo is to Igbo land what Buhari is to Nigeria. They both came as saviours but deep down are agents of darkness, full of wickedness and unimaginable evil. Bloodthirsty criminals with a lust for power at all cost. The only difference is that Buhari believes in killing non Fulani people while Nnia Nwodo specialises in killing his own Igbo people in order to please and endear himself to his Hausa Fulani masters for financial reward and political appointments for his family members. Thankfully not all Igbos in the USA are prepared to trade their conscience or succumb to the false narrative that it was right to betray Nnamdi Kanu and IPOB for refusing restructuring. It is now left for every other association or group to condemn and distance themselves from Nnia Nwodo's Ohaneze Ndi-Oshi. Handshake across the Niger as if Ala Igbo started from Onitsha. Nnia Nwodo have also sold Igbo territories like Igbanke in Edo State together with the whole of Anioma. Ohaneze is the enemy within. During the time OPC an armed group=Afenifere never invited Nigerian Army to kill them. During the time of Maitatsine riots=Arewa Consultative Forum never invited soldiers to kill them. In this time of Boko Haram=Northern Elders and Arewa Consultative Forum never called Nigerian military to kill them. Only Nnia Nwodo and his Ohaneze Ndigbo invited the army to massacre young men who are unarmed fighting for justice. That is why no sensible person can ever join Ohaneze; they are 100% Hausa Fulani slave association that will do anything the North commands them to do. AWKA—TWO notable Igbo groups, the Igbo Peoples Congress, IPC and the Igbo Aborigines have asked President Muhammadu Buhari not to seek re-election in 2019 as he has nothing more to offer, having failed Ndigbo and Nigerians. The spokesmen of the groups, Pastor Okey Colbert and Chidi Obisike noted that Buhari had nothing to offer Nigerians but blood, tears and hunger. They accused him of “incompetence and myopic inclination, insensitivity and obvious disregard for human lives and cluelessness on how to solve Nigerians multi-farious problems.” The groups asked Nigerians to reject Buhari at the polls in 2019, if he tries their will. They advised Nigerian workers not to be carried away by his salary increase antics, as any such increase will be wiped off by inflation and is merely calculated to deceive them for political advantage. The groups also lambasted Orji Uzor Kalu for deceiving himself and pretending to love Buhari whereas his motive is just to be a senator under APC and to be protected from his present trial by the EFCC for his crime against his Abia people. They called on Ndigbo to support only candidates that will protect their collective interest in 2019 and never be carried away by political jobbers and bread/butter politicians. They tasked Buhari to prosecute Kalu to the logical conclusion if he is serious on his anti-corruption war. The groups also tasked the Federal Government to produce Nnamdi Kanu and his family in the next three weeks or be prepared to face the wrath of the international community very soon. “They must tell the world where they kept Nnamdi Kanu or where they buried him if they killed him.His father and mother should be produced too. The army high command should tell the world the outcome of their so-called investigation on the massacre in the house of Nnamdi Kanu last September,” they stated. 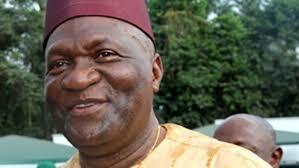 The groups asked the President General of Ohanaeze Ndigbo, Nnia Nwodo to stop hyping about war as if Ndigbo and the agitators want war.